More and more schools buys iPads for their teachers and students. One of the advantages is that it´s easy to become a producer instead of a consumer. Let the students use the camera to take pictures and use one of the apps below to create a book from their pics and text. For the current price of each app, go to appstore, since prices may go up or down. All links open in a new window. If you have a mac as well you should look in to iBooks Author. Apple has created a tool where you (or your students) can create interactive books. Search for iBooks author tutorial on youtube and you´ll find tutorials. Different apps you can use are listed below in alfabethical order. The apps can be found in appstore. Book Creator Cost about 5 dollars. There is a free version (Book creator free) that you can test before buying the full version. Has been tested by Skolappar (in Swedish). Book Writer Cost about 5 dollars. The app has been reviewed by Skolappar (in Swedish). Composer Pro av DemiBooks Cost about 10 dollars. A review of the app is found here. Creative book builder Cost about 4 dollars. Pretty many options within the app. Final product can be exported to pdf, be mailed or uploaded to Google drive or dropbox. eBook journal Cost about 5 dollars. 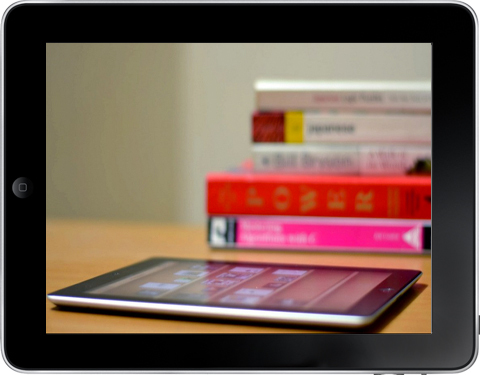 Create eBooks for iBooks or Kindle. Very clean layout. eBook Magic Cost about 5 dollars. An Youtube review is found here. EBook maker Cost about 5 dollars. A commercial from the company that made the app. My Story Cost about 4 dollars. The app has been tested by Skolappar (in Swedish). Picturebook: School edition Cost about 4 dollars. For younger children. There are 250 illustrations within 12 themes inside the app. If you want to try the app you can download the free app picturebook first. Scribble my story A version of Scribble Press for kids 6-8 years old. The app is free, but has in app purchase. Scribble press Cost about 4 dollars. The app has been tested by Skolappar (in Swedish). StoryBuddy 2 Cost about 5 dollars. There is a version called Storybuddy 2 lite that you can download and try for free. Story Creator PRO Cost about 2 dollars. Available as a free version (Story Creator) For younger kids, 6-8 years old. The app has been reviewed by Skolappar (in Swedish). Story Patch Cost about 3 dollars. For younger kids.The app has been reviewed by Skolappar (in Swedish). Storyteller deluxe Cost about 1 dollar. Pretty basic app suitable for younger kids. Limited options for sharing the final product. Writers studio Cost about 5 dollars. A review of the app on youtube. Good Luck with the book creation!